If you get a DUI, Canada might not let you in anymore, blocking your access to what cheese-and-gravy-topped national dish? Colorado passed a prohibition amendment a year before the nation did, at the tail end of what decade? A DUI costs an average of $13,500. Is that more or less than the average cost of a U.S. wedding in 2017? We had a lot of fun interacting with the patrons and bringing this important message to our community. Do you know the sample trivia answers? Scroll down to see the answers! 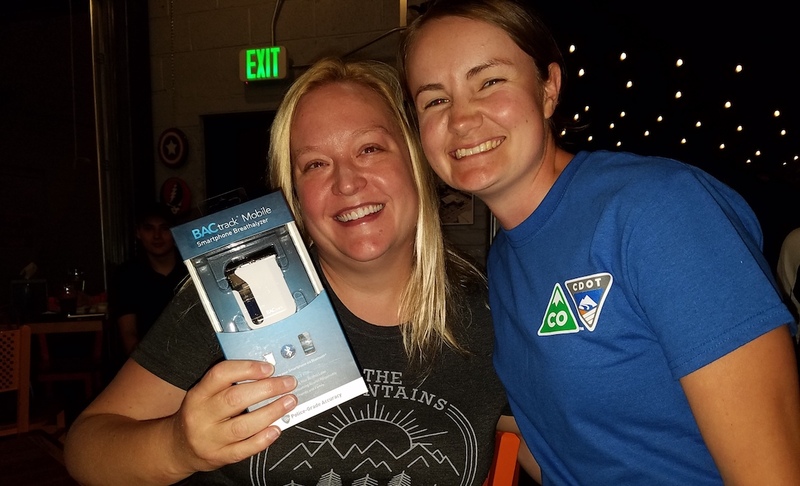 Abby celebrates with the lucky winner at Denver Beer Co Arvada! 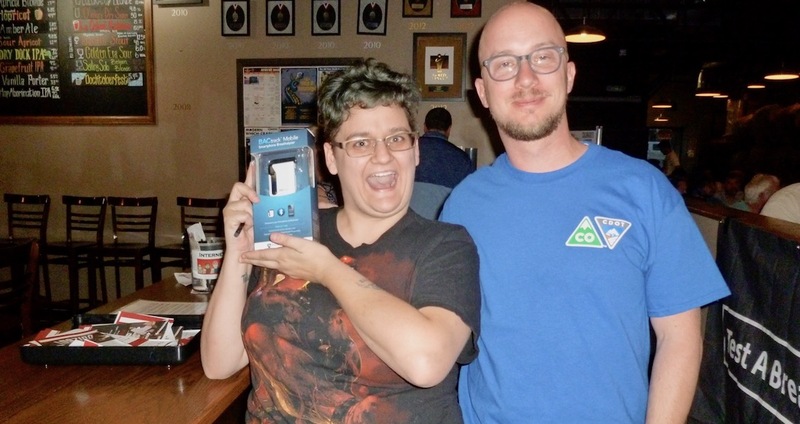 Sam A. attended trivia at Dry Dock Brewing near his stomping grounds in south Denver. 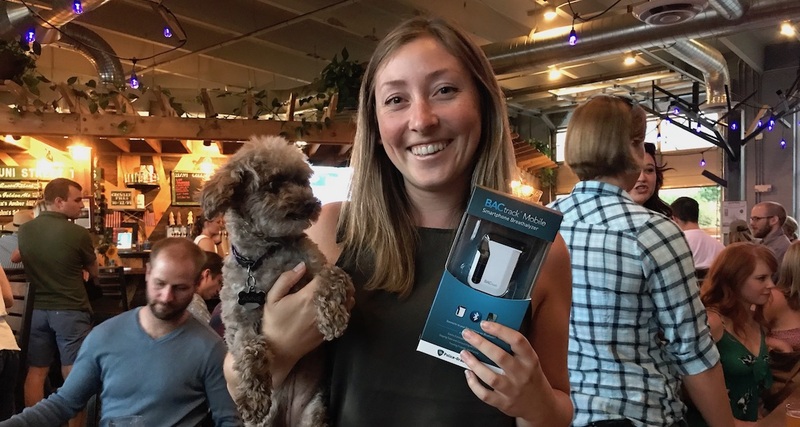 The winner from Zuni Brewing knows the importance of sober driving so she can get home safely to her furry family.